ChatTime, the iPhone app for smarter international calling, is giving new and existing users around the world the ability to make free phone calls to Japan. California, USA – With the horrifying images coming out of Japan, many people are wondering about their friends and loved ones in Japan. SmartRoam, developers of the popular iPhone app “ChatTime” is doing it’s part by giving new and existing customers, from 48 countries, free calls to Japan until the end of March. In response to last week’s disaster, SmartRoam want to make it easy and painless for ChatTime users around the world to reach out to their friends and family in Japan. This means that all ChatTime users can call mobile phones and landline numbers in Japan through the end of March with no charges and no fees. ChatTime is also retroactively offering customers who have already made calls to Japan since March 11 a credit and waiving any costs associated with calling the country. Anyone that is not currently using ChatTime can download the app for free from the Apple App Store and also take advantage of free calling to Japan. The countries eligible to call Japan for free are: the United States, Argentina, Australia, Austria, Bahrain, Belgium Brazil, Bulgaria, Canada, Croatia, Cyprus, Czech Republic, Denmark, El Salvador, Estonia, Finland, France, Georgia, Germany, Greece, Hong Kong, Hungary, Ireland, Israel, Italy, Japan, Latvia, Lithuania, Luxembourg, Malta, Mexico, New Zealand, Netherlands, Norway, Peru, Poland, Portugal, Puerto Rico, Romania, Singapore, Slovakia, Slovenia, South Africa, Spain, Sweden, Switzerland, Thailand and United Kingdom. 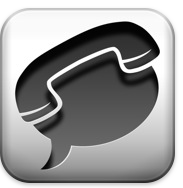 ChatTime is the only low-cost international calling service to offer a calling experience that is just as easy and reliable as regular iPhone calls at a fraction of the price. Using ChatTime, iPhone users can make amazing sounding international calls – anytime, anywhere to any phone without relying on Wi-Fi. The app is available for free download in the Apple App Store. SmartRoam was founded in 2008 with offices in 5 countries, SmartRoam’s flagship product, ChatTime is the leading low-cost international calling service for the iPhone. All SmartRoam customers benefit from solutions that are easy to use, deliver carrier grade call quality and up to 97% savings on international calling without requiring Wi-Fi or 3G data. For the latest information on ChatTime, follow us on Twitter or visit our Facebook page.